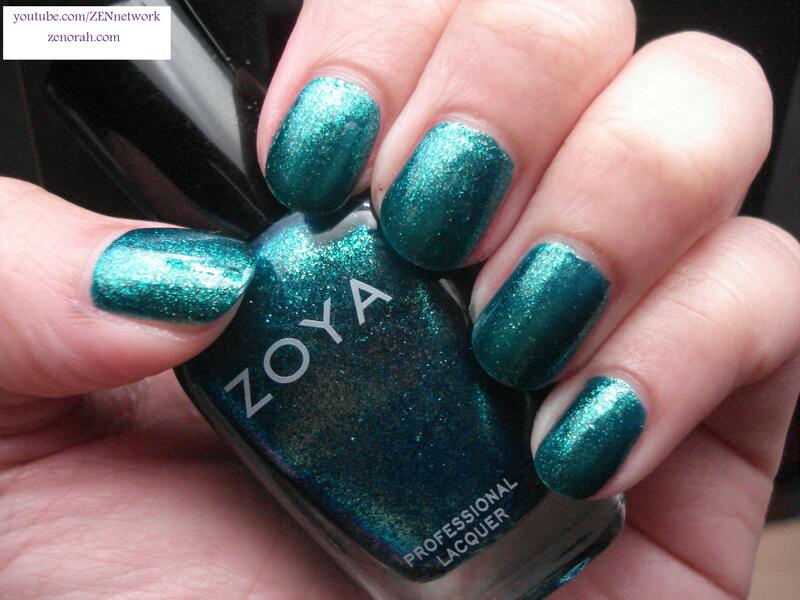 Zoya Charla – is a jaw dropping gorgeous mermaid teal sparkle shimmer polish infused with a TON of teal and silver glass flecks. This was originally released in Zoya’s Summer Sparkle Collection 2010 and I bought every last one of them because at the time I had never seen a shimmer, sparkle in glass flecks before, when I saw swatches online – I.needed.them.in.my.life lol. It was so hard trying to capture the beauty of this polish and I took A LOT of photos of it for some eye candy so you can judge for yourself. I think a while back I did a post on Zoya’s Zuza and I mentioned I might like that polish better than Charla – I’m going to have to eat my words because I am in LOVE with this polish. It had been so long since I wore it, I forgot how gorgeous, complex and eye catching it really is! While Zuza is a beauty as well, Charla is in a category of her own! This formula on these Sparkle finishes are so amazing – I nicked it while drying and because of the amount of glass flecks in it, you honestly can’t tell at all! I can’t get enough – I have been admiring my nails since applying it and I am in awe of my stupidity that I have left this sitting in my collection for much too long since the last manicure I had with it. I do have a love for teal polishes but this one really looks amazing on my warm based skin tone and with a tan – see ya later! this looks breath-taking! The formula was amazing – two coats and it was opaque, it dried on average but the best part was applying the top coat to see this baby shine like a movie star! So this is a little off topic but I promise it ties into this polish – I love dark polishes because it looks polished, trendy etc but it’s hard to find a “dark” summer polish that isn’t a Fall or Winter shade, does that make any sense? lol. This is what I would consider a dark summer shade because its bright enough to be summery but dark enough that it will stand out against your skin tone – I hope that makes some sort of sense. I am seriously in LOVE with this polish and I am stunned that I haven’t seen more people talk about it – if I were a mermaid, this would be my fish tail – I honestly think you will love it as much as I do, so this polish is getting HELL YEAH status from me. Pick it up – as a nail polish collector, you really need to see it in order to believe it! Do you own Zoya Charla? What are your thoughts on this nail polish? Love this polish…It was my first Zoya! LOL oops I pressed enter before I finished typing my URL in the above comment!